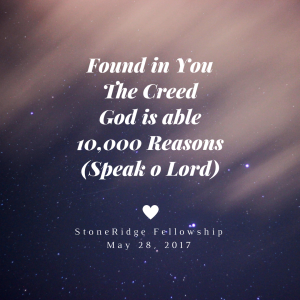 Worship Set List, May 28 2017! | StoneRidge Fellowship – Connect Me! Previous PostJoshua 14: Renewing the covenantNext Post“I know” part 1: Standing with the real Jesus!